Housing starts skyrocketed in August, according to CMHC’s most recent trend measure, led in large part by strong condo activity. Brokers often lose out to the big banks when it comes to funding mortgages for new-build units, according to one industry player, who says they are often handcuffed by shorter monoline rate holds. The segment’s continuing growth suggests brokers will continue to have to work hard to win their slice of that pie. Banks, on the other hand, offer longer rate holds and clients often have to re-qualify if they want to go with a broker on new build deals, according to Sanghera. Broker channel players also have to compete against in-house bank specialists who have the first shot at clients who visit developer offices, Sanghera says. 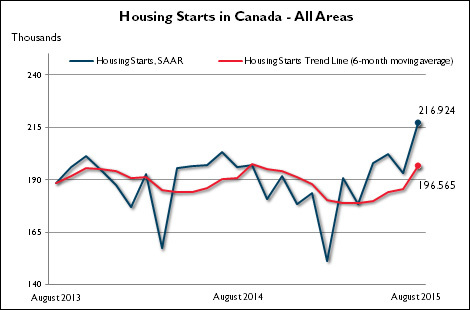 The CMHC’s trend measure for Canadian housing starts was 196,565 units in August – up from 185,642 in July. 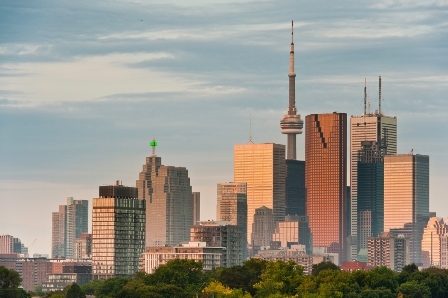 The CMHC uses its trend measure along with its monthly seasonally adjusted annual rates of housing starts to provide an accurate picture of housing start trends in Canada. Multi-unit starts, meanwhile, increased by 19.5% to 142,927 in August.